The power draw suspiciously low (would be great if true), maybe they got lucky with this card? It's also the quietest of the bunch, isn't it? and stock OC is 1595MHz vs, say MSI Gaming X @1714MHz. So, tradeoff of clock speed vs power. Plus, maybe they set the power target lower. Aren`t those 61 degrees celcius way to low for temps on load? I mean, for msi gaming x (also a quiet and cold implementation) hexus gives 71 degrees. And their noise is very much comparable... Any thoughts on this? Is Strix card really so good? The MSI cooler fins are running along the card, hot air gets out at the two short sides, while Asus' cooler fins run across the card, the fan shroud is kept pretty open at the sides for hot air to exit the fin stack. So there is a bigger area for hot air to escape. In the Nexus reviews the Asus fans are reported to spin at 1500RPM while gaming vs. MSI fans spin at 1330 in the same scenario. To me it does not look implausible that the sum of these factors results in a noticably cooler card. But this could be huge from the noise perspective. As seting your goal in temp around low 70s,mean even slow rpm meaning even lower noise. In other words, at equal temps, strix would be silent than msi. Conclusion: strix would be the card to go if noise is the main goal. In gtx 1080 reviews, these huge temp diferences don't appear. Is strix gtx 1070 a special implementation or what? Why this good cooling solution dont produce similsr results in gtx 1080? There are so many factors we don't know. Maybe the environment temps were different? ("Hot June weather", as stated in the Asus 1080 test allows for several degrees difference as a starting point). Maybe the Asus cooler hits it's performance sweet spot at the load of the 1070 and gets hotter at higher loads? What do the fan curves of all four cards look like? Etc. etc. etc. It made me not beeing decided towards strix implementation. It is very diferent results than @hexus.net and I am a little confused. MSI is obviously the worst while Zotac and Asus show very similar cooling performances. If the above result is correct, Asus seems to be slightly outperforming Zotac (not to mention MSI) and might be the best GTX 1070 graphics card in US/North America market. While the Asus card (33.8 dB) is considerably noisier than the Palit card (32.4 dB), the GPU temperature is much lower, leading us to speculate that they are probably very comparable cards from the viewpoints of acoustics and noise. Note however that Palit GTX 1070 in the above review is faster and more aggressively overclocked than Asus GTX 1070. For example, Palit GTX 1070 and Asus GTX 1070 achieved 90 fps and 84 fps in "Rise of the Tomb Raider" in 1440p. If the above two results are credible and correct, I think Palit/Gainward cards are probably the best outside North America and Asus/Zotac are probably the best in North America. "The Asus card is silent when idle, and though the fans spin-up to around 1,500rpm when gaming they never become particularly loud." "Our logs show the pair to run at under 1,000rpm, and you have to place an ear next to the Fractal chassis to even know if it's on." Moreover, from my personal experience with Asus GTX 970 Strix OC, their GPU fans at 1500 rpm cannot possibly quiet whereas I can confidently confirm that GPU fans of Palit cards are absolutely quiet at 1000 rpm. This rpm figure of the Palit card is very much reproducible and completely in line with my own experience. As a matter of fact, the actual rpm figure in my own open-chassis environment is closer to 900 rpm. Maybe, but in a thread with more than 130 posts, where me and some coleagues tried to see wich 1070 would be the most silent and cool, many strix owners stated that strix temps are above 70 (71-72) with 1500rpm. for me those 61 degrees are either a typo (instead of 71) or a bias toward Asus. In fact, there is a youtube noise comparison with Strix and Inno (I believe) gtx 1070 both. Strix IS indeed loud IMHO. Also an MSI noise test compared idle (0%) and load (probably around 40-50%). it is at worse just a humm. But I would say incredibly quiet. Asus Strix OC, EVGA SC ACX, Gigabyte G1 Gaming, MSI Gaming X, and Zotac AMP! Exreme Edition @ hardwareLUXX added (with fan hysteresis profiles). I ordered an EVGA GeForce GTX 1070 FTW last evening, so I will take idle and load energy consumption before and after. This is the card with a larger heatsink and fans than the SC card from EVGA. I am looking at your card on Newegg right now. What made you go with EVGA vs the msi/strix crowd? I always liked EVGA as a company, so I would be more interested in getting one if it is SPCR friendly. wow. that is really quiet. The FTW version is a bit more juiced up but has bigger cooler as Neil said, so probably? similar results. Such small price differences between things. I wish reviewers would do a whole line against themselves so each model can be understood. My other main choice was the MSI, and I think several of the reviews had the SC virtually tied with the MSI. Nobody has yet tested the FTW. 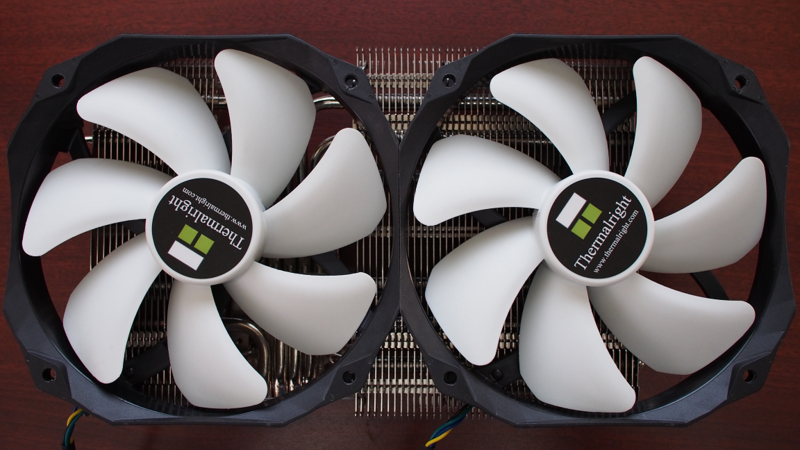 The fans on the FTW shut off below 60C the same as most other cards. The MSI fans are very forward swept, and they vary the blade spacing / pitch and surface texture. The EVGA fans are more conventional, and have a forward arc on the leading edge, but are effectively straight from the base to the tip; if that makes sense. The dimensions of the MSI are actually ~0.5" larger in length and width. 10.98"x5.51" vs 10.50"x5.06"
I should be receiving the card today. My machine is an i5 6600K overclocked to 4GHz at a slight over voltage. It is idling at ~40.5W and running [email protected] at Full, the energy draw is ~84.5W-85.5W. Hey guys. Im new here and I'm looking to upgrade from my Strix 970 in a few months to a quiet 1070 for 1080p 144hz gaming, once the card prices go down a little. Hopefully Silent Mike can get his hands on a few sample 1070s soon and do a roundup to really do the tests we all want to see. FWIW I'm leaning towards the EVGA SC model at this point. EVGA seems to have a very good reputation among gamers (Great customer service, Step-Up Program, allowing users to open the card and change TIM/backplates without voiding the warranty). In their 20-21C room the SC ran at max temp 72C, which was higher than the MSI's 69C, but the fans on the SC maxed at only 30% or 917rpm. The MSI ran 69C with the fans maxing at 44% (no fan tach shown on their MSI chart, sadly). With both cards being essentially the same (1-3fps difference) in benchmarks do you think the lower power draw, lower clocked card would be a wise choice? Okay, my card came today, and I got a good one. It overclocks to 2.1gHz, and today was hot. It hit ~94F outside, and we don't have A/C. There are 3 computers in the office, so I am sure it was close to 100F. It is now ~79F outside, and the GPU fan is running at 40% speed and GPU temperature is 72C. CPU temp is averaging ~61C with a Scythe Kotetsu (i5 6600K overclocked to 4GHz). There are 2 case fans running very slowly, and the 3rd one (upper front intake) is not spinning. My seat of the pants guesstimate is ~21-22dBA running [email protected] Pretty good. We had to turn off my son's 980ti fan that is another 4.5' away from me to even hear it from ~2' away up on the desk to my right. Edit: I have a 31" 3440x1440 (2K?) monitor, and my son got ~75FPS in Battlefield 4 at highest settings. I got the EVGA 1070 SC and have to say it's seriously the quietest card I've ever owned (apart from my fanless 5770 in my HTPC). Without even changing the cards fan profile in afterburner the highest I've seen the fan is 45% and that's on a hot 30 degree day playing witcher 3 maxed out. At 45% I can't really hear it over the rest of my system (silverstone fortress with 2 low RPM fans and the 3 200mm @ 700rpm). Hottest I've gotten the card is 77 degrees. Haven't really bothered overclocking it much yet as I'm pretty happy with performance at 1600p but I'm sure I could get an extra 100mhz at least. Huge upgrade from the Gigabyte 7970GHz that I had in my system and was honestly struggling and starting to artifact. I noticed that EVGA has the FTW card at 215 watts, the SC card at 170 watts, and the standard FE and fancier cooling versions at 150 watts. I am very concerned that the 215 watt card, the FTW, is drawing a lot of power for performance gains. On the other hand, it seems to have all the best components on it to handle that power. Still, I am concerned that doing [email protected] I will be using a lot of wattage and heat for a bump in performance. Do you think it is somewhat worth the trade off? I know the best wattage per workload is a Nvdia 750ti, but of course that is terrible for modern gaming. Maybe the EVGA GeForce GTX 1070 GAMING ACX 3.0, the standard clocked card with acx cooling is a better choice for efficiency? Trying to make the right decision for next 2-3 years. I might even go RX 480 nitro 8gb card as the price is low and the double precision is beasty. The single precision numbers on the 1070 gtx are amazing though and the majority of home computing is in that. Power targets aren't an exact indicator of actual power use. They set the "stock" limit on any user overclocking. Someone correct me if I'm wrong as I don't have a new card and s/w on hand...can't you go into the overclocking utility and set up a profile that limits the power target? So, you could have a balls to the wall gaming profile with a high power target and another with a lower power target for your [email protected] use. As anyone reviewed the zotac ZOTAC GeForce GTX 1070 AMP! Edition (not extreme)? Wow! that is interesting. I hope Neil responds to see if that works. Under windows 10 and linux. Anyone have coil whine with these EVGA GTX 1070 cards? Link or it doesn't happen.